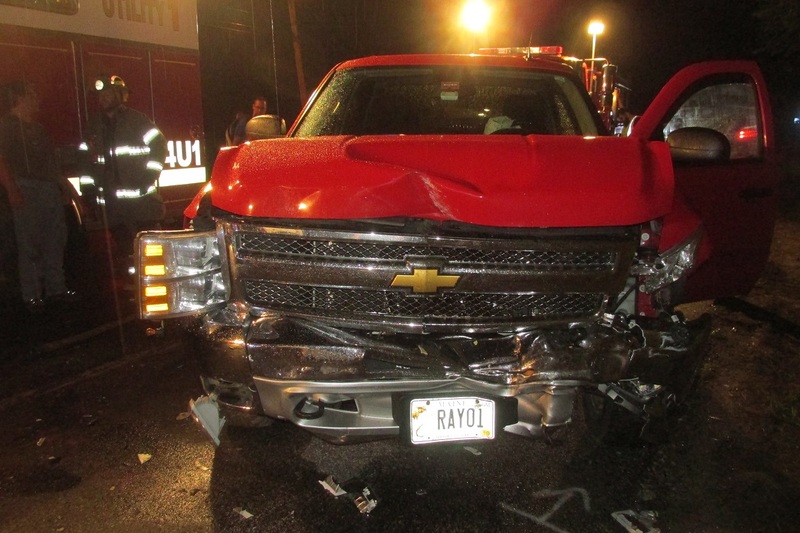 BALDWIN, ME – A teenage girl was seriously injured in a Maine car accident last night. According to the Cumberland County Sheriff’s Office at around 8:20 pm the were called to Pequawket Trail at the intersection of Depot Road in Baldwin Maine for a two vehicle accident. 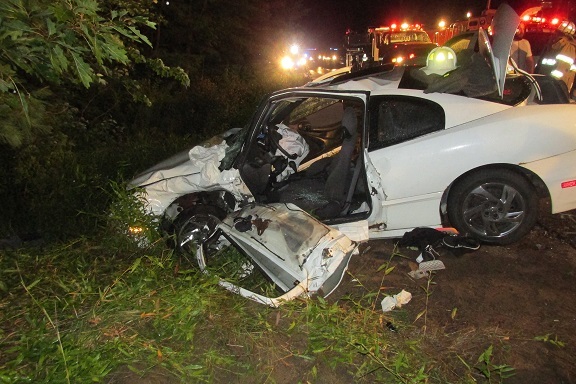 When authorities arrived they found the 16-year-old Parsonsfield driver of a 2002 Pontiac Sunfire trapped in her vehicle with a head injury. The Cornish Fire Department used extrication tools to free the driver who had suffered serious but non life threatening head injuries. Cumberland County Deputies said that after an investigation they believe the driver and sole occupant of the Sunfire failed to stop at the stop sign on Depot road, driving through the intersection and into the travel lane of Pequawket Trail. She was then struck by a Chevy truck driven by 60-year-old Raymond McKenney of Westbrook, Maine who was headed east. McKenney was alone in his truck and suffered only minor injuries. A lifeflight helicopter was called for the for the 16-year-old, but weather prevented them from responding. The girl was instead rushed to Maine Medical Center via Standish Rescue, she was released this morning. Deputies said that the investigation is still on going, but they believe the teenage driver was distracted by an electronic device.